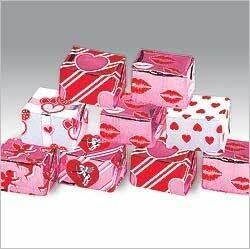 Madelaine Valentine Milk Chocolate Mini Presents, little solid milk chocolate presents, wrapped in 6 different foils (hearts, cupids). 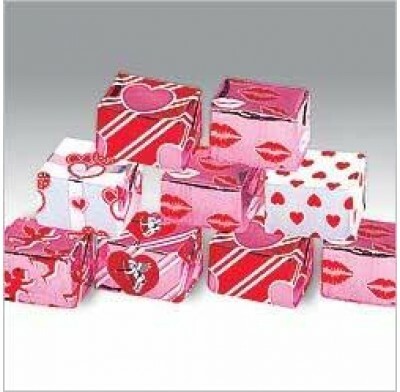 Great for Sweetest Day or Valentine's Day. Can be sold by the piece or the pound. Kosher Dairy. Delivered in 5 lb. boxes. 45 pieces per pound.